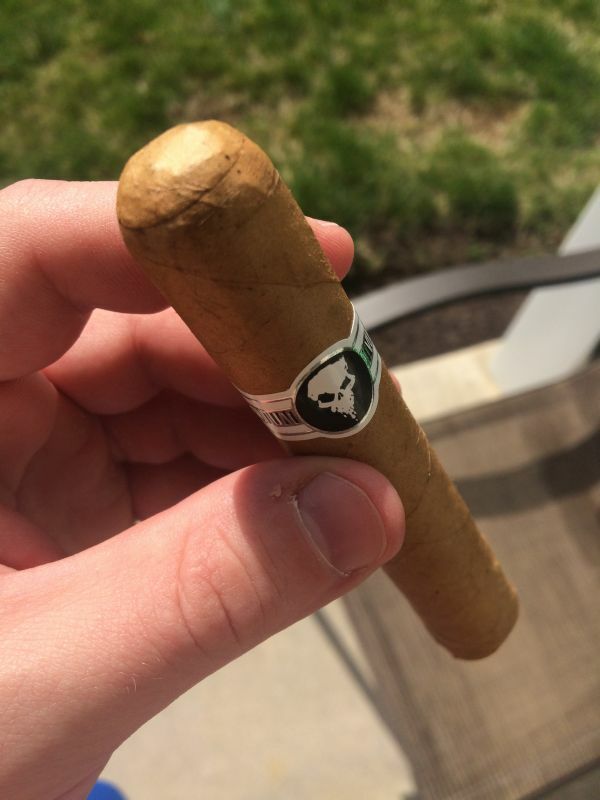 It’s been a while, but now that the weather is warming up (a beautiful 70 degrees F and sunny in my sleepy hamlet), I’m back with a cigar review of the Vudu Priest No 3! “Huzzah, huzzah,” scream the masses. The prodigal son has returned and with him he brings tidings of tobacco, cynicism, and low-brow humor. 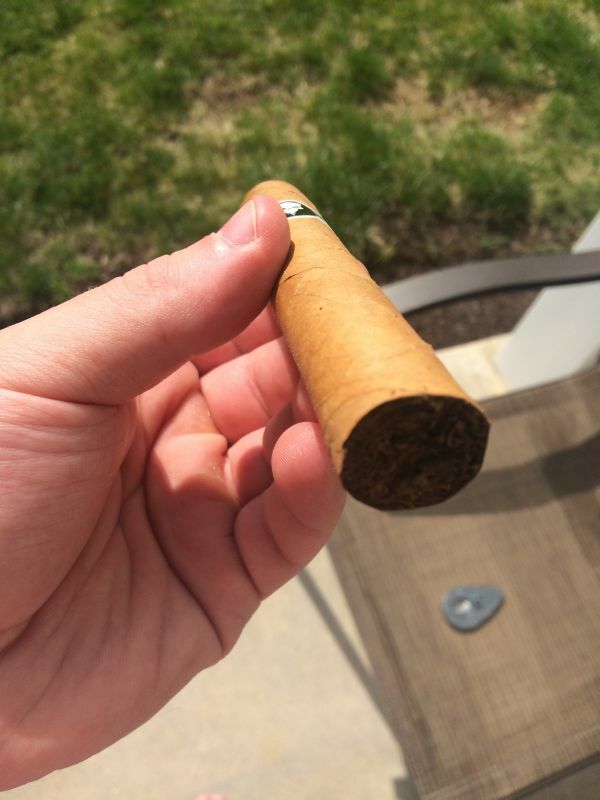 Sure, the weather drew me out of hiding like a groundhog being prodded out of his hole by a man in a top-hat, but I was also contacted by Famous Smoke Shop and offered the opportunity to review one of their new cigars. Being a selfless and benevolent fool, I quickly agreed, and shortly thereafter found a box of Vudu Priest No. 3s on my doorstep. 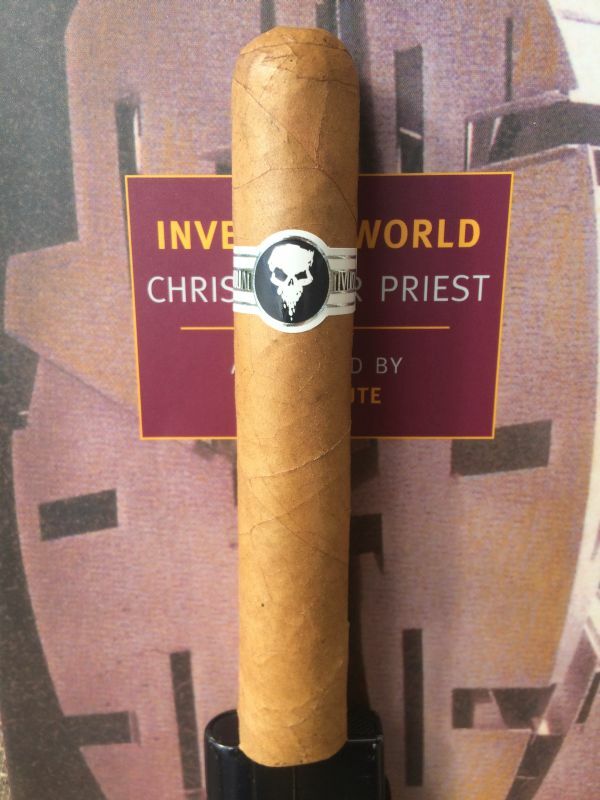 So yes, full disclosure, I received the cigar that I am about to review FOR FREE. 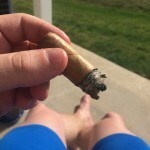 That being said, I will do my best to provide an unbiased and fair review of my FREE CIGARS. Who doesn’t like free things? Mao, maybe. And possibly Kim Jong-Un. But other than that, most people like free. I digress. The Vudu Priest No. 3 is a bit of a diverge from my normal smoking habits (broken record, anyone?) as I tend to pollute my body with Maduro and Nicaraguan blends. 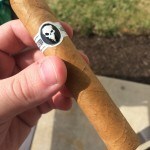 But I am a man of many tastes, and as such I am excited to give this Ecuadorian Connecticut blend a shot. Without further ado, to the review! 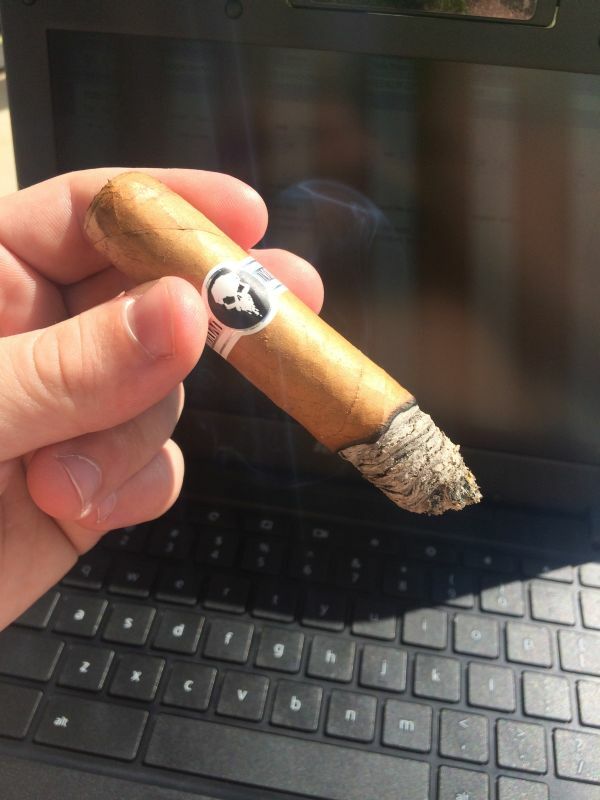 Not much to go on from the blend, but knowing where the cigar was produced (J. Fuego–Honduras), it’s entirely possible that the filler and binder are Honduran. With that in mind, the wrapper should produce some nutty and creamy goodness, while the filler might mix in some darker earth flavors–leather, dirt, hay, grass. Appearance: Smooth, almost perfect wrapper. Few veins and an oily sheen (much like Charlie Sheen’s skin after waking up from a bender, though not reeking of alcohol and Thai lady-boys). One of the easiest snips I’ve ever performed. Maybe I should go into the vasectomy business? Cold draw is mild with a hay note. Hay hay hay. The first puff after toasting produces a more pronounced blast of hay–like a horse coughed in my face. After a few more puffs and some rest, there’s a lingering white pepper afterburn on my tongue. Unexpected and quite nice. Towards the end of the first third, a mineral taste makes itself known. Less acrid and more like licking a river rock (don’t ask). Enjoyable flavor, to be honest. I’ve found this note in several Connecticut blends before, so I am not entirely surprised. The ash is densely packed though the draw is easy. 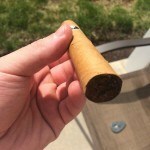 A casual flick (sue me) of the cigar and the ash falls off easily, leaving a small cone at the cherry. The second third produces some transformation into the smoother, creamier, nuttier end of the flavor spectrum. 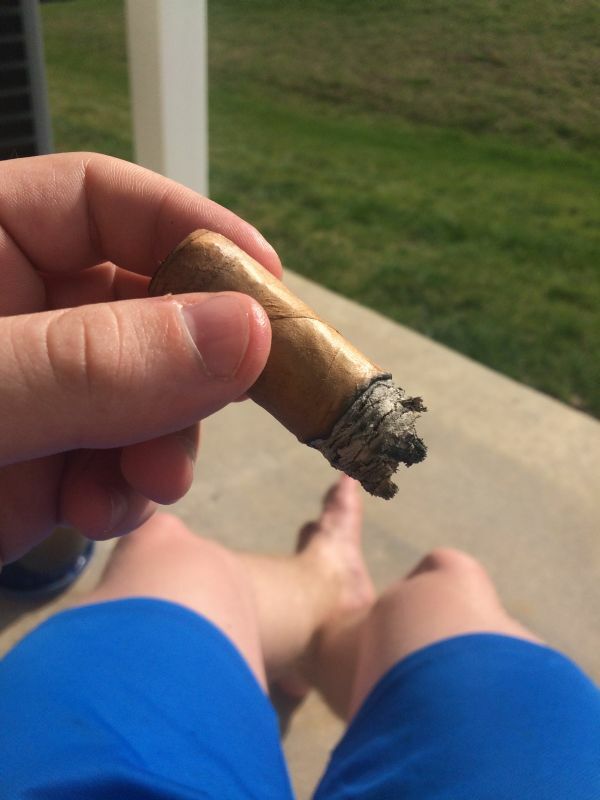 I made it about halfway through the second third before I realized it, a testament to the enjoyable nature of this smoke. 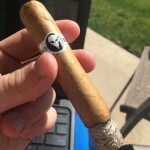 Not much thought is needed to be able to sit, enjoy the sun, and engulf myself in a cloud of the Vudu Priest’s smoke. Speaking of the smoke itself, there’s a gentle floral aroma characterized by a sugary sweetness. Any honeybee would be wondrously happy with this smell. I smell the smelly smell of something that smells flowery. And it is good. Even with a strong wind, the burn has maintained a razor sharp line and the draw is as easy as taking candy from a coma patient. Some bitter, almost acrid, coffee notes mingle around with the cream, but nothing off-putting. Strength-wise, the Vudu Priest has stayed at around the medium level. Not feeling any nicotine punch or dizzyness like I might with a stronger blend. Definitely not a bad thing–some days are for relaxing, not praying to the porcelain god. Though not in my wheelhouse or grainhouse or smokehouse, the Vudu Priest was a surprisingly good smoke. 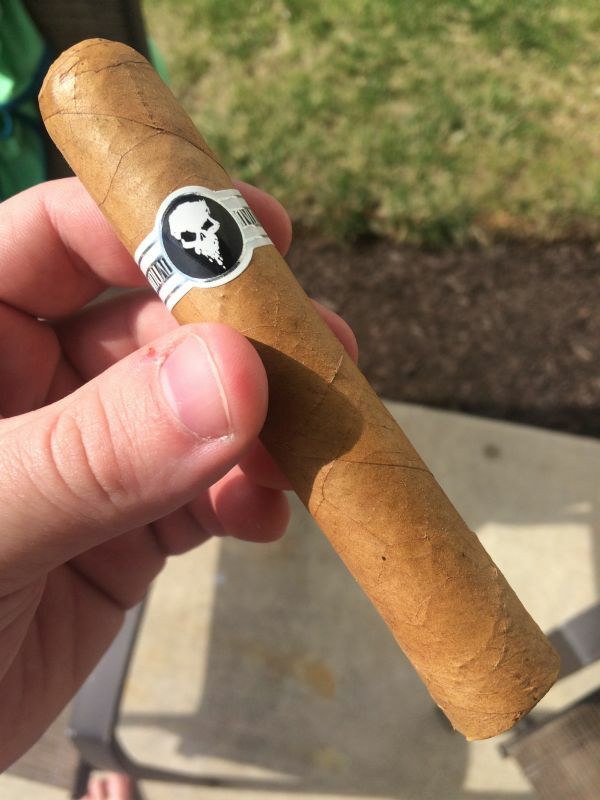 I often subconsciously go into smoking a milder cigar with the nagging thought that I will be disappointed or unsatisfied, so when I encounter something milder that agrees with me, I’m pretty damn happy. The Vudu Priest No. 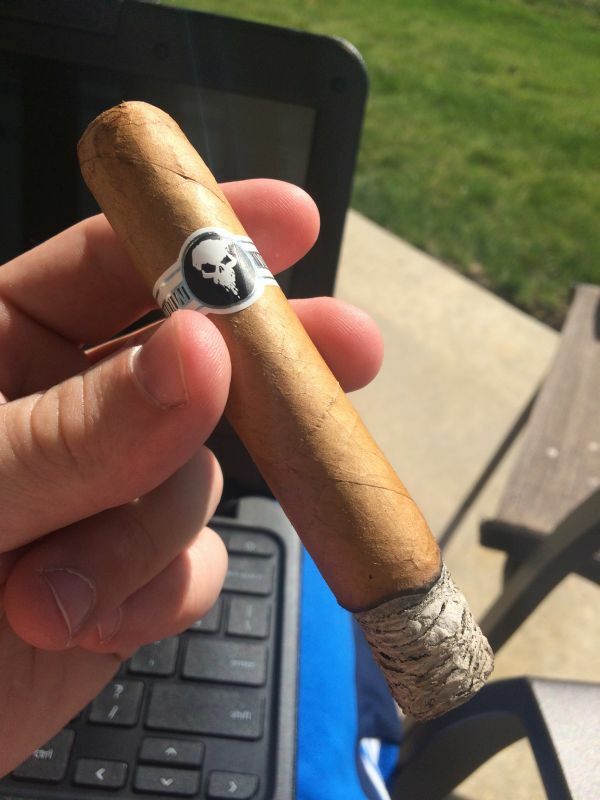 3 is not a cigar that I’d go out of my way to smoke every day, but not one I would ever turn down (turn down for what?!). 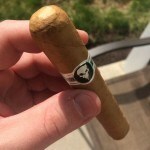 A pleasant smoke that would be perfect for new smokers, a breakfast smoke, or a casual day of hammocking (not ham-hocking, though that could prove delicious). Let me know your thoughts in the comments below! You can also tweet at me, but does anyone actually use Twitter for anything other than yelling into the void?